As a result of the competitive bidding process, the one year contract for rubbish and recycling pickup was granted to Bolster's Rubbish Removal. 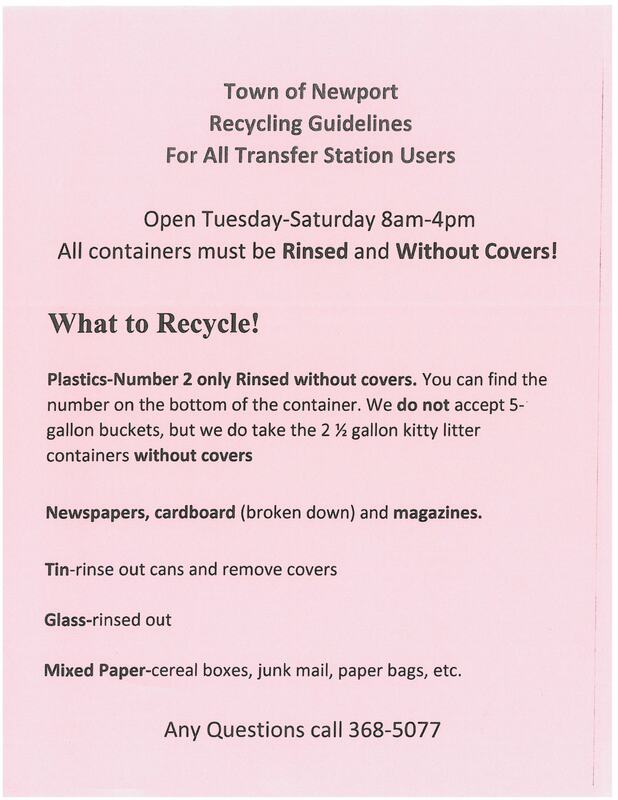 All Recycling will be picked up on the 1st Thursday of each month. Please note it will no longer be single sort recycling. Rubbish collection will be Monday or Tuesday, depending on the road you live on. IF YOU LIVE ON A PRIVATE ROAD, PLEASE FOLLOW THE SCHEDULE FOR THE TOWN ROAD WHERE YOUR RUBBISH IS PICKED UP. If you are unsure, please call the town office for details.